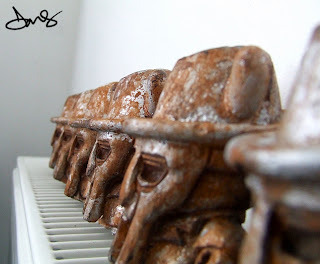 DMS Art Blog: DMSDOOM MF DOOM Dunnys shipping in the morning. DMSDOOM MF DOOM Dunnys shipping in the morning. Shipping was slightly delayed on these due to a bit of an episode with my Diabetes but these are now shipping tomorrow morning. Thanks to everyone who bought one for their patience, I hope you enjoy them!